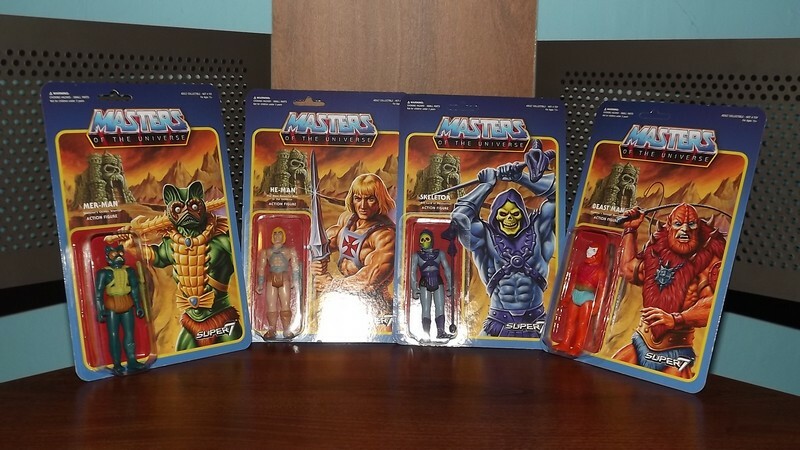 In the early 00s, Mattel reissued some of their Masters of the Universe figures in fancy packaging as a part of their Commemorative line. They were pretty much straight up reproductions of the original 80s figures. I went as far as collecting the first ten figures. Besides a multi-pack, I never saw any of them in local stores. 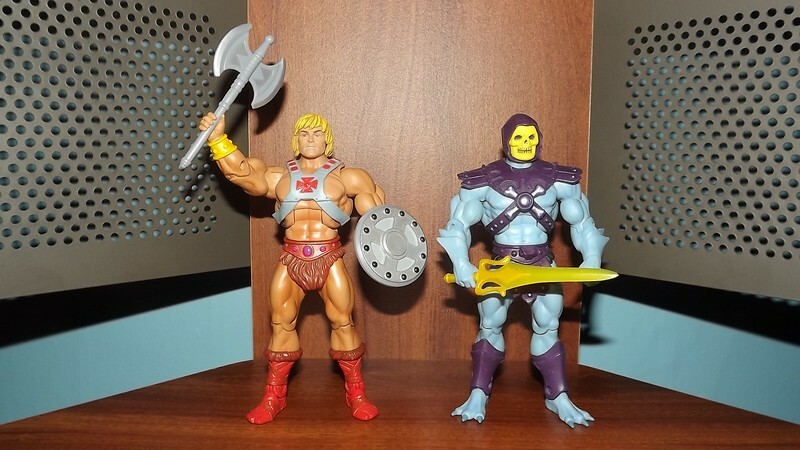 I believe there were only 10,000 of each figure produced with the exception of He-Man and Skeletor, which had 15,000 produced of each. I had to obtain my figures on eBay. It felt like a rip at the time because I had to pay over $10.00 a figure plus shipping. Nowadays, paying $10 and over for an action figure is the norm. The figures, themselves, are pretty good. The quality of the plastic used is nice and the paint jobs are excellent. Not long after the Commemorative line, Mattel launched a new Master of the Universe line with a new cartoon, which is now referred to 200X. I like the figures as well as the cartoon. The amount of detail that went into each figure was amazing. Even to this day, I am always noticing something that I didnt notice before every time I take them out. Also, each figure had a built in action feature, which is something that Im not too fond of with action figures in general, but I thought was very well done with the figures in the 200X line. The line had some major short comings and thats that the figures were difficult to obtain in stores. I had to resort to eBay after the initial figures were released. 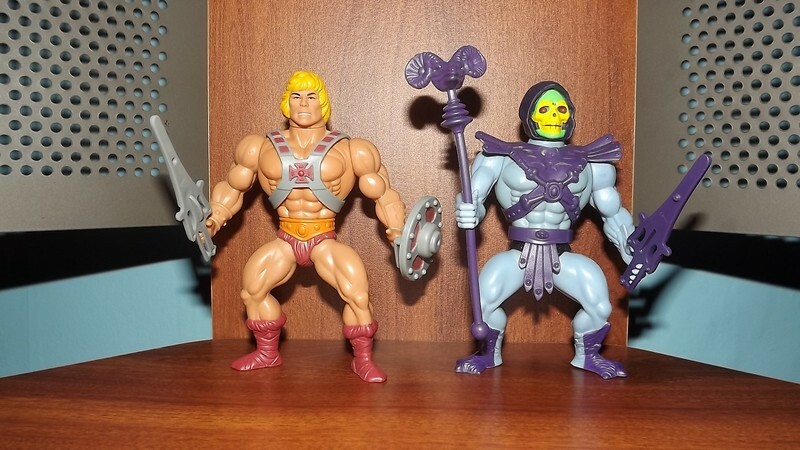 Mattel went overboard on making different versions of He-Man and Skeletor, as well as repaints. I think those efforts would have been better put towards making figures of different characters and keeping figures in their original colors available longer. 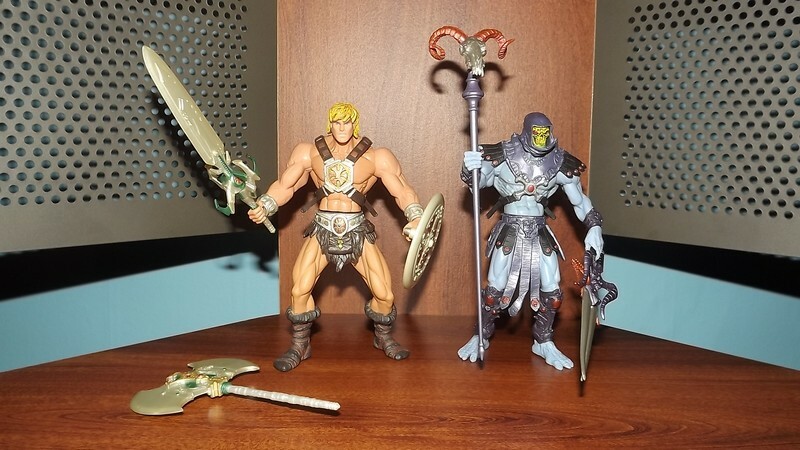 In the late 00s, Mattel launched its Masters of the Universe Classics figures line. I had a bad taste left in my mouth from the last two lines availability issues and didnt get on board with the line, which one needed a subscription to obtain most of the figures from. I think that they are amazing figures, though. I bought all of the DC vs MOTU Classics sets from my local Toys R Us and later bought a few individual figures from an online toy shop. Recently, Super7 has taken over the MOTU brand and Im pretty happy with what they have released so far. The prices, quality, and availability have all been to my liking. The thing is, though, I keep feeling that the brand is going backwards. Part of me wants to see something new done with the property. I felt that the 200X line best achieved that. I am very fond of old school plastic toy soldiers. A connoisseur, I might add. So, here we have a WWII Russian Infantry set in 1/32nd scale manufactured by the long defunct Atlantic of Italy. Atlantic toy soldiers werent the most historically accurate toy soldiers, but theres an artistic flair to them that I quite enjoy. They are, also, made from some of the best plastic I have ever seen. I have never had a figure break on me over the years and that says a lot because they are often older than I am. 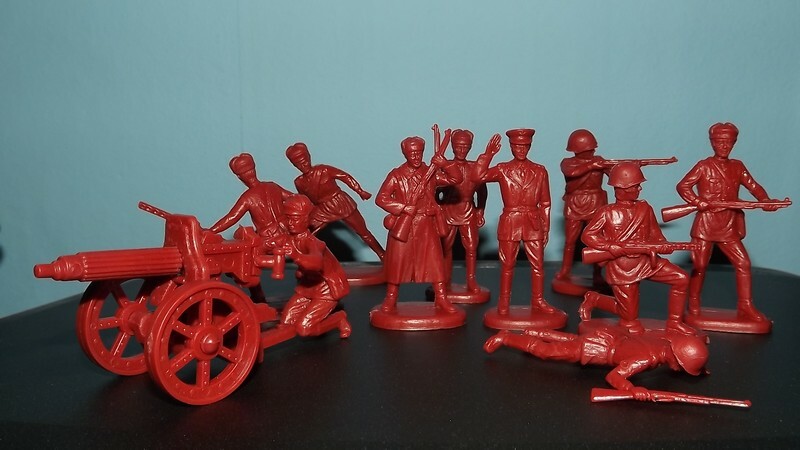 The set includes an officer, five soldiers with Mosin Nagant rifles, three with PPSH submachineguns, and my favorite, a soldier manning what appears to be a Maxim machinegun. The last of which is oversized, but its a pretty nice toy in itself thats assembled from seven different parts, which fit together nicely and stay together without glue. I like how the machinegun can rotate and elevate. Im not exactly sure what to say about the figures color. Im guessing Atlantic molded them in red because theyre communists? They did that with the figures in their Russian Revolution set and Chinese Revolution set, as well. 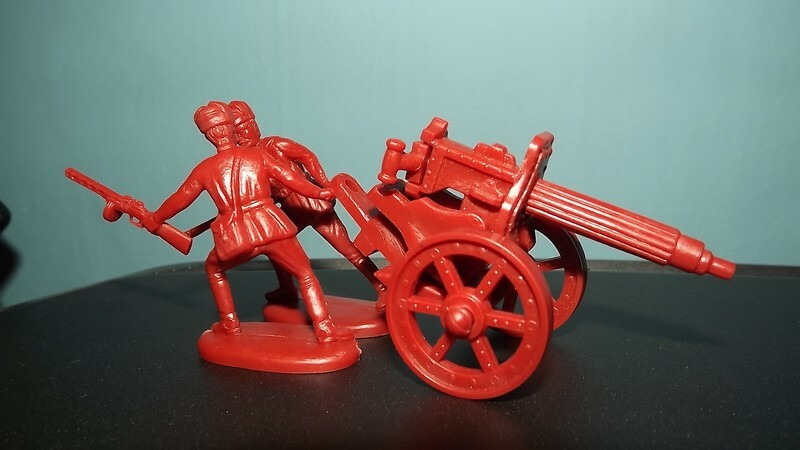 Its a very dark red in this case, so I dont find it to be annoying for a toy soldier set. All in all, I dont think its the best set on the subject, but it is an interesting one nonetheless. I would recommend it to any plastic toy soldier enthusiast. On an additional note, I have speculated over the years that the two men running are meant to be posed pulling the machinegun as often seen in wartime photos. Today, were going to be looking at Satan Cross from Mattels M.U.S.C.L.E. line. Satan Cross didnt appear on the 80s M.U.S.C.L.E. checklist poster. Back in the early days of online M.U.S.C.L.E. collecting, he was referred to as X-1 and collectors had no idea what the mysterious hole in his back was for. It turns out that it was for an extra torso with a pair of legs to plug into giving him a Minotaur type appearance as seen here in this version exclusive to the Kinnikuman line. 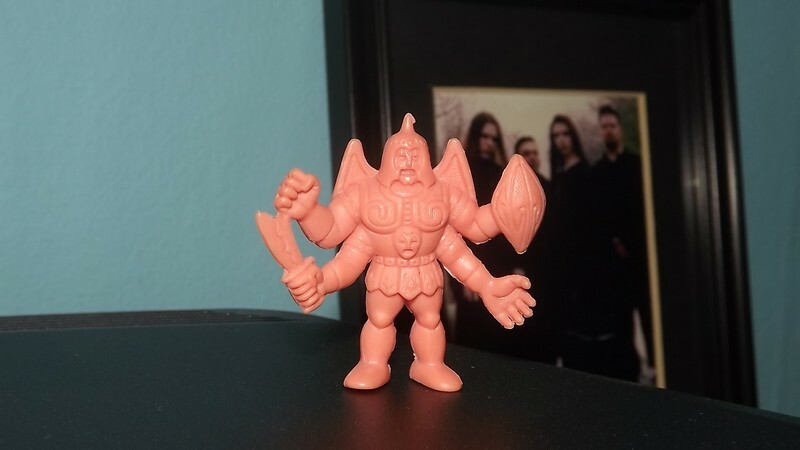 I obtained it from an auction held by the M.U.S.C.L.E. Preservation Societys founder, Darrin Vindiola. The one that made it into the North American line never came with the additional piece. As people became more aware of the Kinnikuman line in Japan, his name, also, became known. 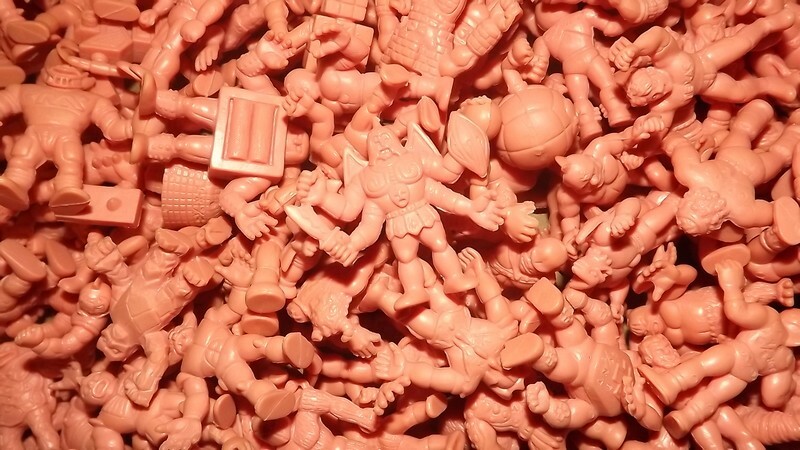 I was utterly amazed that every M.U.S.C.L.E. figure was based on a character that appeared in cartoons and comics in Japan. So, is the Satan Cross figure rare? I seldom refer to any figure as rare. I dont consider it to be with an auction being up for one at any given time. Its a figure that anyone shooting for a full set can probably add to their collection at some point. I cant say the same for truly rare figures like Spinning Head Ashuraman. 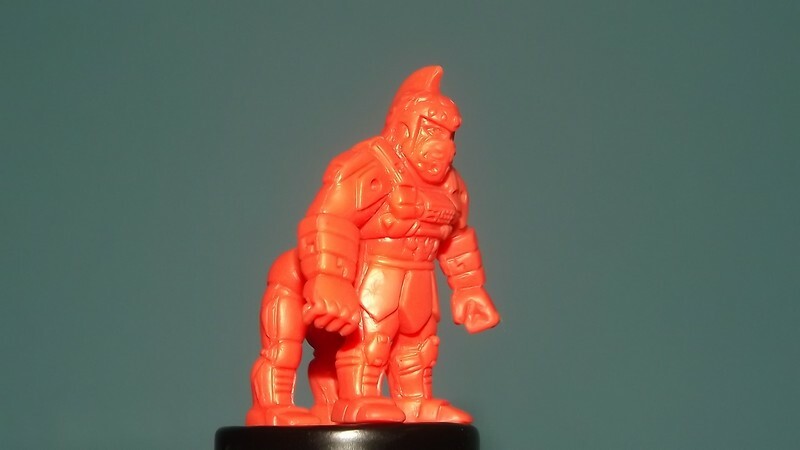 Back in the early 00s, there were a lot less M.U.S.C.L.E. auctions, though. Try four a week sometimes. Back then, Id be more comfortable using the term, rare. Im going to share my story of obtaining a Satan Cross figure, which wasnt very remarkable, but what followed was. I saw mine in a lot of flesh colored M.U.S.C.L.E. figures on eBay. I already knew about the figure being hard to find. So, late one night in 2000, I sat at my Gateway Essential computer with its close to thirty pound EV500 monitor and placed my bid. At one point, I almost didnt bid, but another bidder sniped the auctions original bidder with not much time left and that made me go for it. I won the lot and the Satan Cross figure in its pristine condition was mine! The following day, I got an email from the original bidder telling me that the lot contained a rare figure and that I should guard it with my life. He had placed his bid and was hoping that no one would find the lot while he was working the night shift. This led to further emails and would lead to us forming a friendship. Matthew Davis would become the very first friend I made online. He was a man that I had a large amount of things in common with, especially music. The only other bidder in the auction, Chris Olian latter became a friend of ours. What were the odds?